The key to creating a large and healthy compost is to add a diverse list of ingredients from your yard and home. While dried leaves and grass clippings may be the beginnings of most suburban compost piles, adding a variety of minor ingredients will give your compost trace elements that are good for your future gardens. One of the surprising ingredients you can use is nut shells in compost. Once you learn how to compost nut shells, you’ll have a reliable source of carbon-based ingredients to add to your pile year round. Every successful compost pile includes a mixture of brown and green ingredients, or those that break down into carbon and nitrogen. Composting nut shells will add to the carbon side of the list. You may not have enough nut shells to completely fill out the pile of brown ingredients, but any shells you create in your kitchen will be a welcome addition to the pile. Save your nut shells in a bag until you have at least ½ gallon. Pour the bag of nuts onto the driveway and run over them with the car a few times to break the shells into tiny pieces. Nut shells are extremely hard and breaking them into bits helps to speed the decomposition process. Mix the broken nut shells with dried leaves, small twigs and other brown ingredients until you have a 2-inch layer. Cover it with a similar layer of green ingredients, then some garden soil and a good watering. Make sure to turn the pile every two weeks to add oxygen, which will help the pile to heat faster. Can you compost nuts inside their shells? Some nuts are spoiled and can’t be used as food, so adding them to the compost pile will get some use out of them. Give them the same driveway treatment as the empty shells to prevent having a grove of nut tree seedlings growing in your compost. 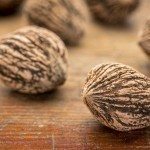 What type of nut can be composted? Any nuts, including peanuts (though not technically a nut) can eventually break down and become compost. Black walnut contains a chemical, juglone, which inhibits plant growth in some garden plants, especially tomatoes. Experts say that juglone will break down in a hot compost heap, but keep them out of your pile if you’re having problems with growing vegetables. What about peanuts? Peanuts are actually a legume, not a nut, but we treat them the same. 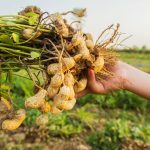 Since peanuts grow underground, nature has provided them with a natural resistance to rot. Break up the shells into bits and keep them in a compost pile over the winter to allow them to break down slowly.